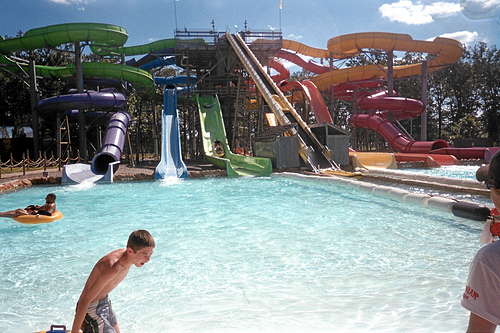 If you are willing to drive a couple of hours from NYC, visit the last word in water parks. More slides than you can shake a stick at. 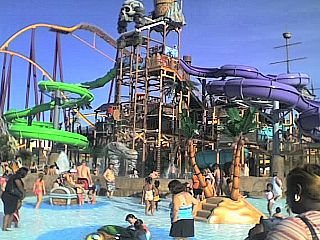 Pile your family into one large boat and go down a mega slide. Take the little ones to the baby slides. A room sized bucket of water poured on your head. 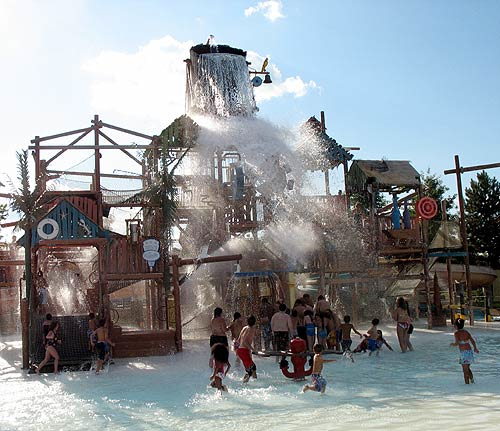 Multiple water parks in one spot for all ages. 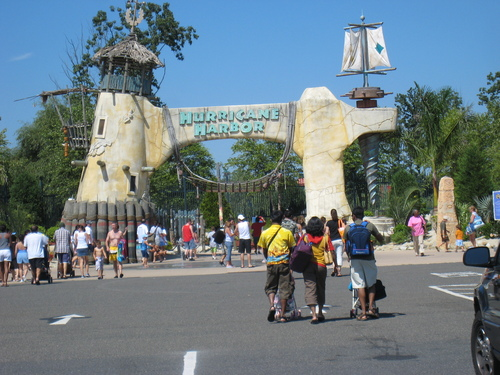 Right next door to a Six Flags amusement park and Safari.